Police are looking for a man who robbed a CVS Pharmacy at gunpoint in Morrisville Sunday. 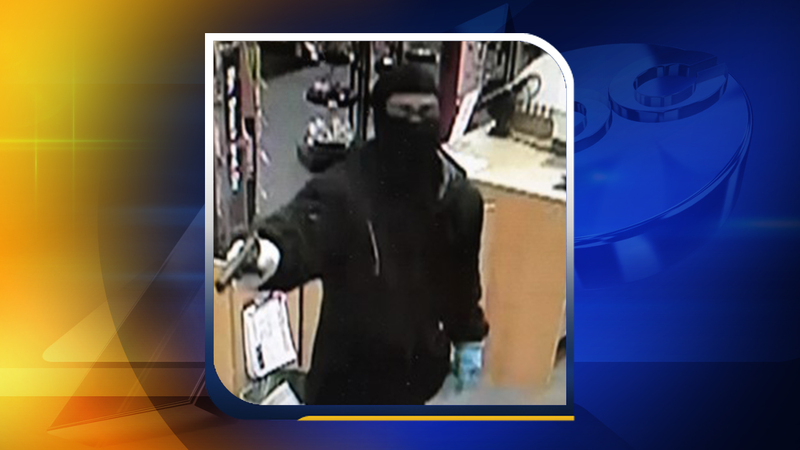 MORRISVILLE, North Carolina (WTVD) -- Police are looking for a man who robbed a CVS Pharmacy at gunpoint in Morrisville Sunday. Officers responded to a call at 1990 NW Cary Parkway around 8 a.m. According to police, the suspect entered the store right after it opened and held a gun on the employees, forcing them to give him all the money in the cash tills. Officers said the suspect was described as a black male, about 5'3", wearing a ski mask, a blue glove, and a white glove. Anyone with information that could assist the Morrisville Police is asked to call Detective P. Smith at (919) 463-1626.